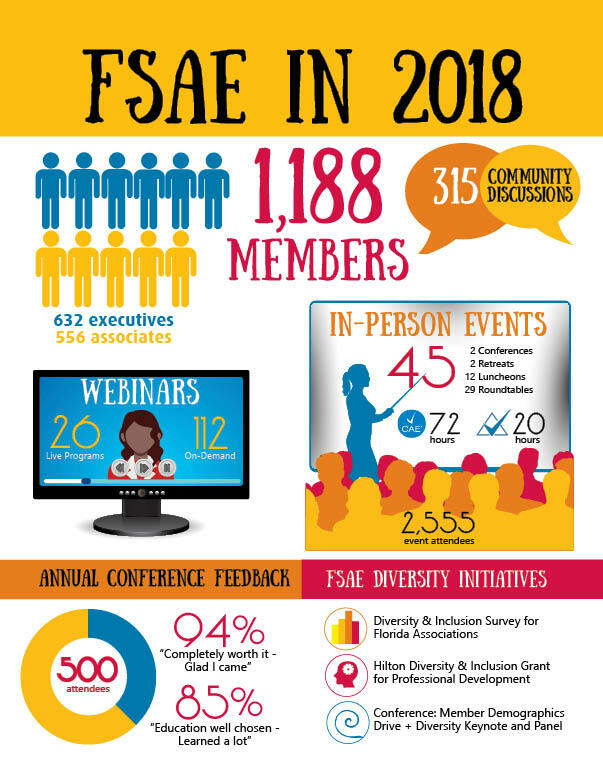 In 2018, FSAE reached 1,188 members - with approximately 600 Association Executives - and we're continuing to grow. In addition, we've offered 45 in-person events and 26 webinars totaling 98 CAE credit hours and 20 CMP hours. We have even more planned for 2019! Don't miss out on your opportunities for professional development, peer-to-peer networking and support for reaching your career goals. 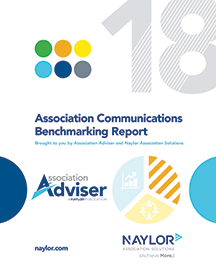 For seven years, FSAE has partnered with Naylor Association Solutions on the annual Association Communications Benchmarking Study -- providing a comprehensive look into the challenges associations continue to face in the ever-changing communications landscape. We are happy to announce the report is now available to download.